A truly talented designer can transform any material into a masterpiece. 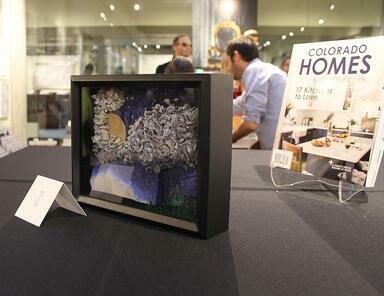 The annual ASID (American Society of Interior Designers) White Box Challenge puts this concept to the test. The annual event involves a simple concept and a difficult task: create something unique using the contents of a mystery box. 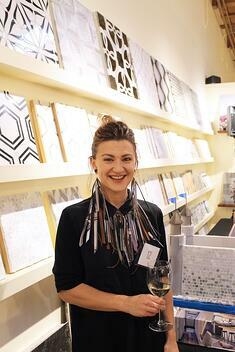 Past challenges have incorporated feathers and samples of contemporary tiles. This year's participants certainly didn't disappoint; they used ingenuity and artistic skill to develop breathtaking works of art. This year, ASID amped it up with a uniquely challenging selection. Participants incorporated intricately carved Dune tile, courtesy of Artistic Tile. This compelling take on stone tile evokes the windswept look of desert sand. In addition to Dune tile, participants utilized leather cording and issues of the local magazine Colorado Homes and Lifestyles. They were then judged on their ability to incorporate tile, leather cording and magazine clippings in a coherent, artistic and interesting creation. 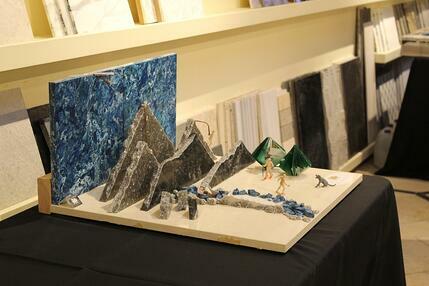 On October 12th, a talented group of 25 ASID members and non-members showed off their impressive creations at the Decorative Materials Denver tile showroom. The grand unveiling capped off hours of hard work. 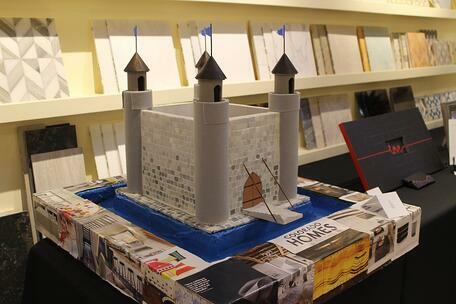 The average individual might struggle to make something of the seemingly random items outlined above, but this year's participants impressed with mountain dioramas, castles, jewelry and more. Ultimately, TVL Creative emerged victorious by somehow incorporating all of the requisite materials into lovely necklaces and earrings. This was by no means the first White Box Success for TVL Creative; the design champion was highlighted as staff favorite in 2015. 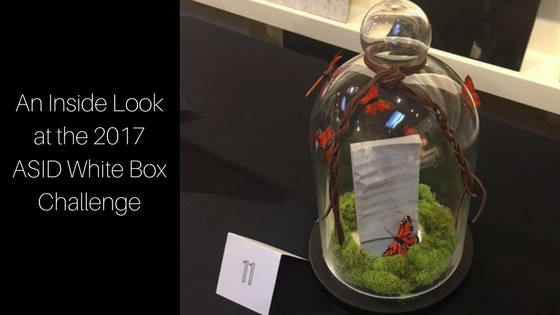 Few events capture the creativity of the design community quite like the ASID White Box Challenge. We're thrilled by the 2017 results and can't wait to see what designers come up with in 2018! Looking for more inspirational and innovative designs utilizing tile? Come explore our Tile Inspiration Gallery and contact us today to learn about our services!